I've always had a big problem with Insect Repellent! Especially when I was supposed to be spraying those scary concoctions on my children. So I've always leaned towards natural repellents when I can. I've recently read in the news that the CDC has found that Lemon Eucalyptus is as effective as DEET! 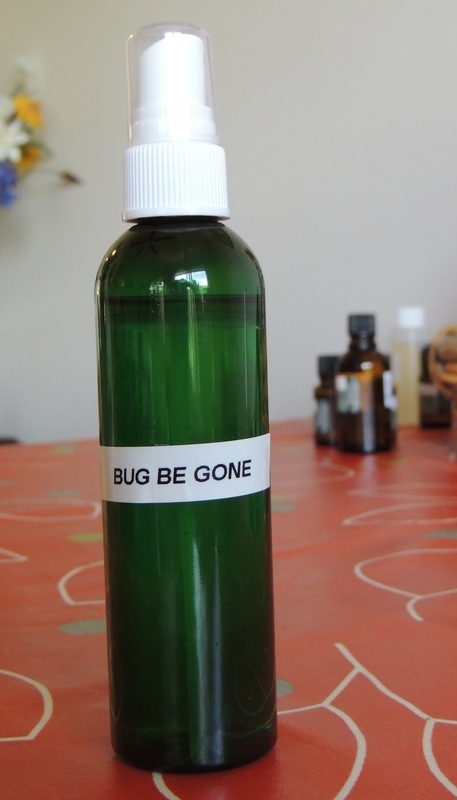 So I've found a lovely bug spray recipe that I've adapted to add Lemon Eucalyptus. As always..everything I needed was purchased at Voyageur Soap and Candle! Allergies and sensitivities are mysterious things. Always check a little of something new on the inside of your elbow. Wait for a few hours to see if anything reacts before spraying something all over you! For the 4 oz/60ml bottle...just double it! 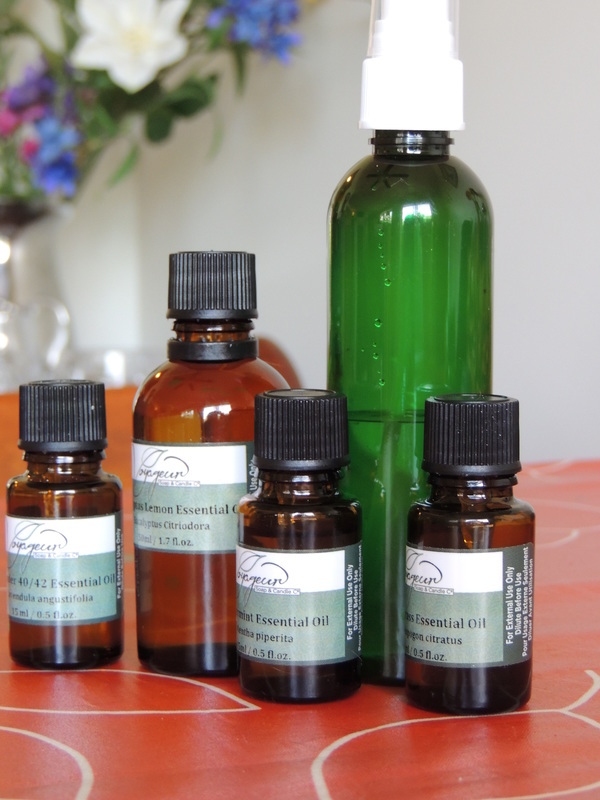 If you are making this for children, half the oils but use the same amount of water.